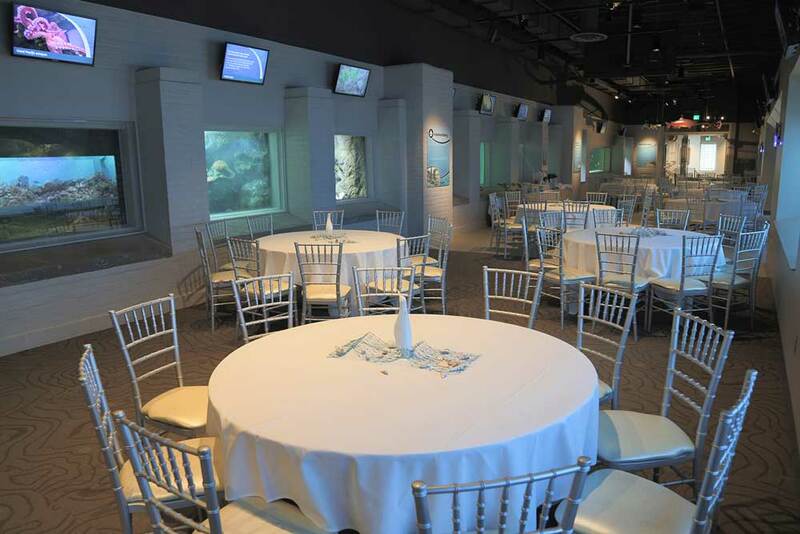 Toledo Zoo is your home for meeting spaces in wild places! Enjoy an intimate affair in our Captain’s Room with beautiful views of our Aquarium and Amphitheatre. Or bring the whole company for a picnic on the overlook of our multi-species Africa! exhibit. 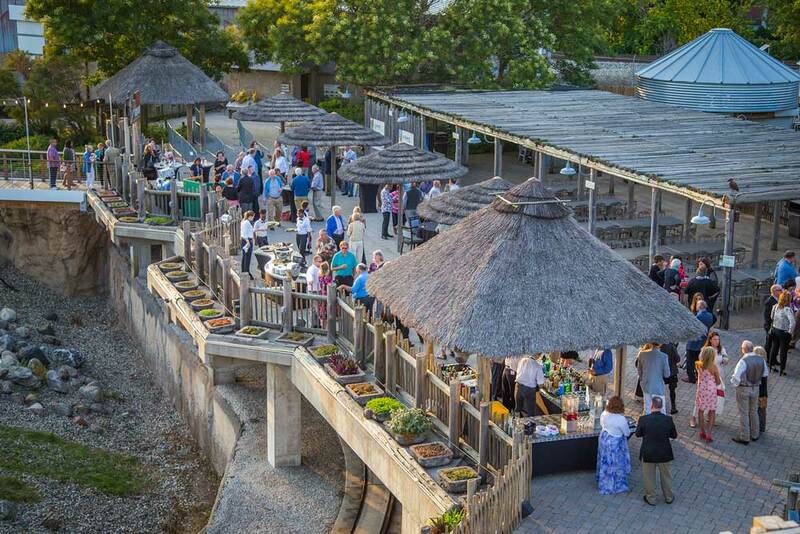 Even book a wedding or trade show in the newly renovated Malawi Event Center, complete with 73 foot long aquarium with colorful African fish! 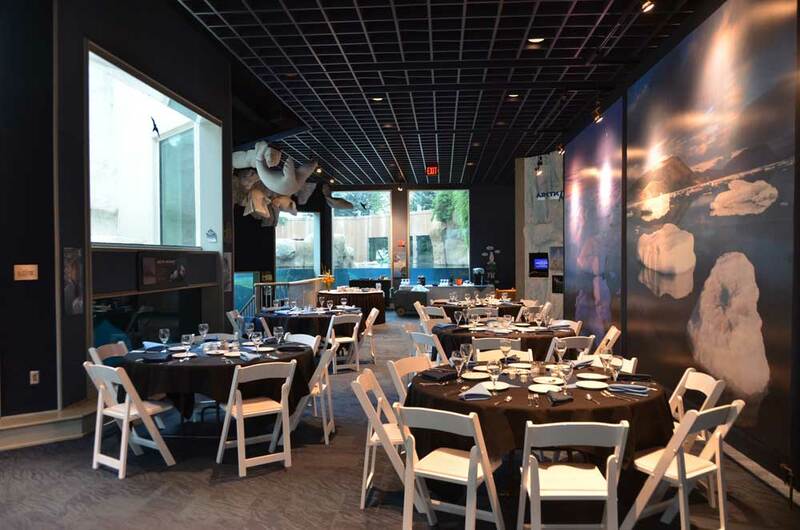 Regardless of the occasion or size, the Zoo has just the space for you, with fully customizable accommodations from our award-winning catering and event staffs! 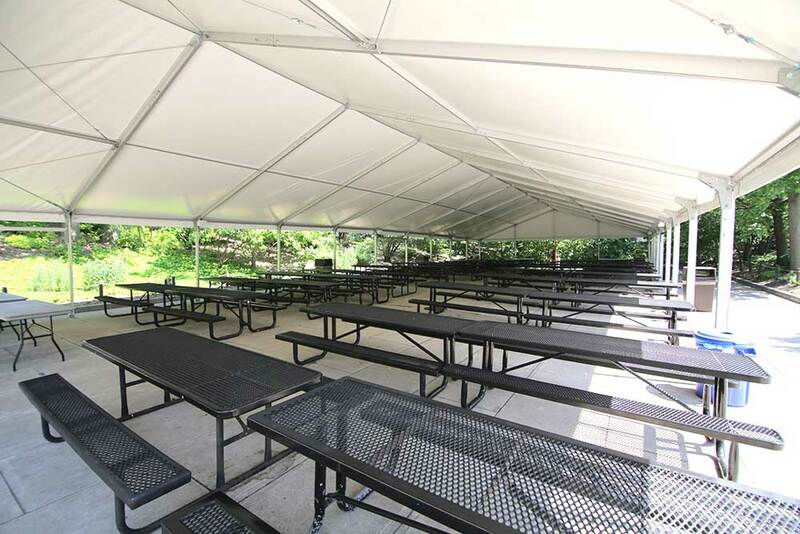 For information about all of the Zoo’s meeting/event spaces, including catering menus and more, please contact our Group Sales Department below or at 419-385-5721 ext. 6001. 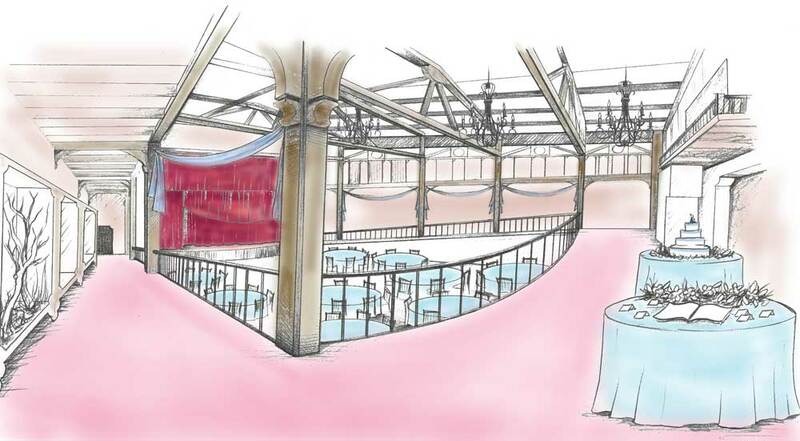 We have a variety of spaces to host your special day. Let us put together the perfect picnic pairings for you and your crew! Put a wild spin on your next corporate retreat or office gathering! Give the gift of the two-time best Zoo lights display to those on your nice list. Let your birthday child run wild with us! 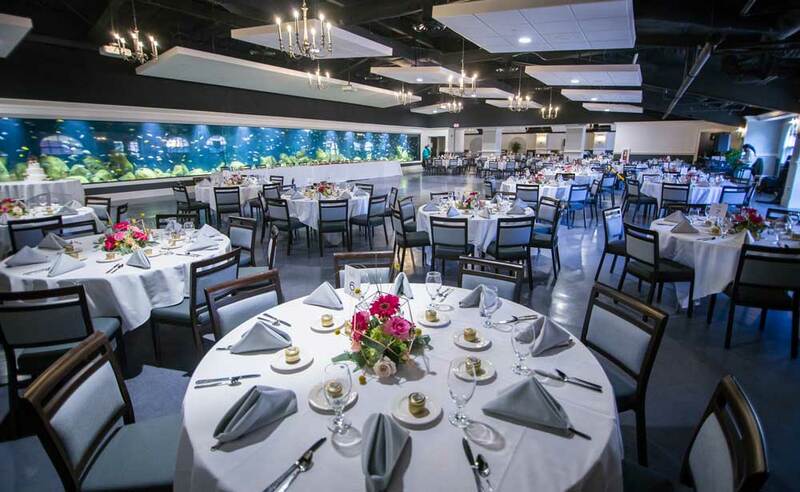 With our mouth-watering menus, experienced Executive Chef and dedicated staff, the Toledo Zoo will ensure that your event is a success. 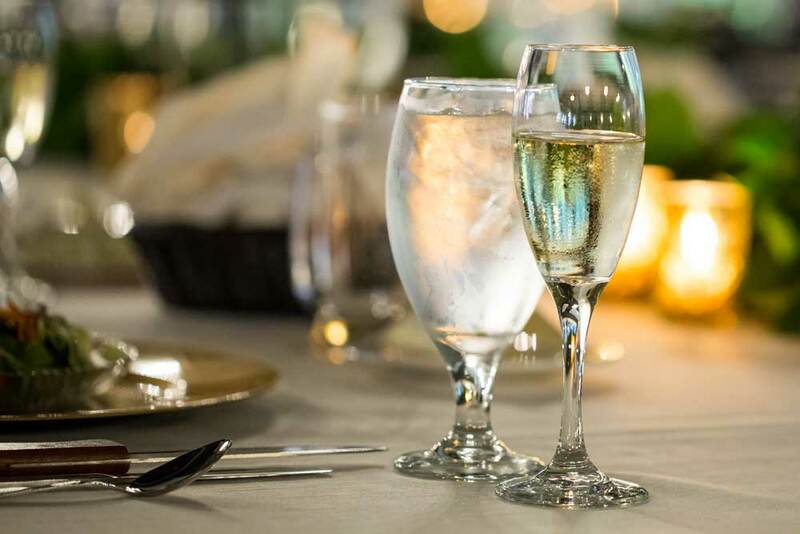 Browse our selections, from hot dogs to hors d’oeuvres, business meetings to black-tie parties, sandwiches to seven-course meals and more. The Toledo Zoo has the recipe for your success. The following wild options are available for exclusive use at your event. Private rate and rental fees apply. I knew my event would be nice but my expectations were exceeded because of the friendly and efficient staff. They took care of everything! Thanks again. On behalf of the Toledo Metropolitan Area Council of Governments (TMACOG), our members and the region, thank you for your help with coordinating the logistics for our biennial leadership retreat. It was a pleasure to work with you and the Toledo Zoo staff. Every two years TMACOG hosts this half-day event to strategize about what needs to be done to help the region take advantage of opportunities and overcome challenges and how we could be serve our members and regional partners. The geographical location of the Zoo and accessible parking was convenient for our members and regional partners who travel from several northwest Ohio counties, some visiting the Zoo for the very first time. The African Lodge is a wonderful facility that provided an environment conducive to networking, learning, and sharing information. 2018 © Toledo Zoo. All Rights Reserved. Be sure that everyone in your group uses the same team name! Please use the (+) button to add the names of the additional team members you are registering. Your 2" x 4" tag will feature the plant name, species and origin along with your name indicated as sponsoring the plant. The tag will be printed on anodized aluminum on a black background with white lettering. The donation cost for each plant tag in the ProMedica Museum of Natural History is $100. Your tag will be assigned to the proper species within the Museum prairie installation or one of the two Museum greenhouses and will be displayed for the life of the plant. Commitments and donations must be received by April 1, 2019 to ensure tag placement by the opening of the Museum. If you have questions or need assistance with your purchase, please contact the Zoo at 419-385-5721, ext. 2078. Your engraved bench plaque will accommodate forty characters per line (including spacing and punctuation) and up to three lines of text. Your special message will be cast onto an anodized aluminum plaque and placed on the seat of the bench. The cost for your bench in the ProMedica Museum of Natural History at the Toledo Zoo is $1,500. The bench is 72" x 20", hard maple finished in mocha with brushed bronze legs. Your bench will be assigned to the public interior area of the Museum. Commitments and donations must be received by April 1, 2019 to ensure adequate processing time. If you have questions or need assistance with your purchase, please contact the Zoo at 419-385-5721 ext. 2078. We will send an official acknowledgement letter for your donation to this address. Below you find the details to our two different Party Packages and the different experiences included in each package. Please keep in mind with our animal experiences, we are a zoo first and our animals welfare is our highest priority. Therefore animals cannot be guaranteed but we will try our best to ensure you get the animal of your choice at your event. Deposit to book your date is 50% of the package pricing due at time of booking. Spots are first come first served so if you are ready to book and have a date in mind be sure to get your deposit in right away! Packages are subject to availability. 2 small animal encounters with our education animals. Animals included our armadillo, snake, rabbit, turtle, etc. A personalized birthday sign with your child’s name that our diver will hold up as a great photo op during the 11:00 am dive! Animal encounter with our sloth! Please complete the form below to be contacted when we are ready to party in wild style this summer!